New Delhi : India is a land of genius brains and a 13-year-old boy Amar Sathwik Thogiti is the burning example. He is among the youngest and the most famous YouTubers who creates video for UPSC civil services aspirants to help them prepare for the exam. Born in Mancherial, a small town in Telangana, Thogiti started his Youtube channel ‘Learn with Amar’ in 2016 at an age of 10. At present, he has over 1,87,000 subscribers. 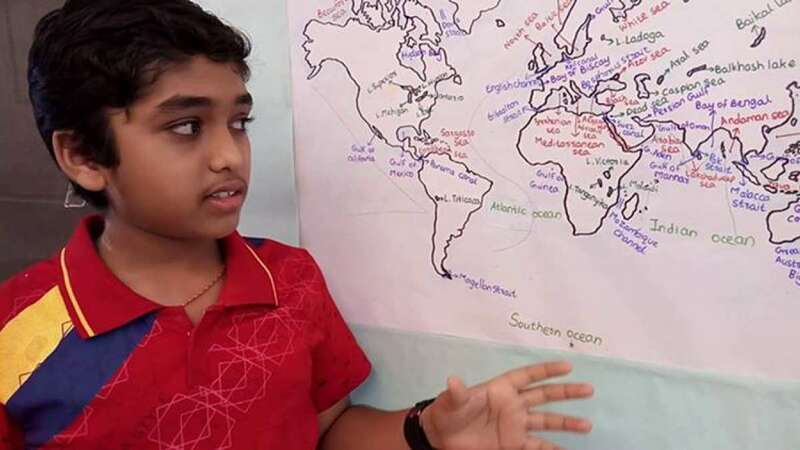 Amar started his YouTube channel with geography lessons where he teaches tricks to remember names and locations of countries, rivers and others. He now plans to expand the channel to economics and political science as well. Amar himself is a UPSC aspirant and wants to work with the government to make the country corruption-free. “I want to become an IAS officer and make the country a better place. There are many rules in our country but they are not followed or implemented well. When I will become an IAS officer, I will ensure better execution,” said the 13-year-old. He publishes videos based on demands of users but sometimes, he receives negative comments too. “Most the viewers are preparing for competitive exams, they posts requests based on which, I learn subjects and create videos. It takes me about two weeks to research about a topic then I learn it, practice it a couple of times and shoot it,” told Amar. “We also receive negative comments sometimes. Since I only work on the videos in weekends and on weekdays I focus on my school curriculum, it does not bother me much,” he adds. His younger brother Angh Vignesh, all of 10 is following his foot-step and has produced around 10-13 videos so far on the same channel. Father of the two, Goverdhan Achary Thogiti, believes his children are gifted. “My sons are talented. I teach them same tricks I teach other teachers. Both grasp things quickly. I will send my child to study in the city after class 10 but till that time they are here, I wish to teach them to pursue knowledge and the best of themselves,” he said. The UPSC guru also has a fascination for cosmology and watches videos on the same in his free time. His favourite subjects are mathematics and physics. This young teacher likes to read books; among his top-picks are ‘The brief history of time’ and ‘The Alchemist’.